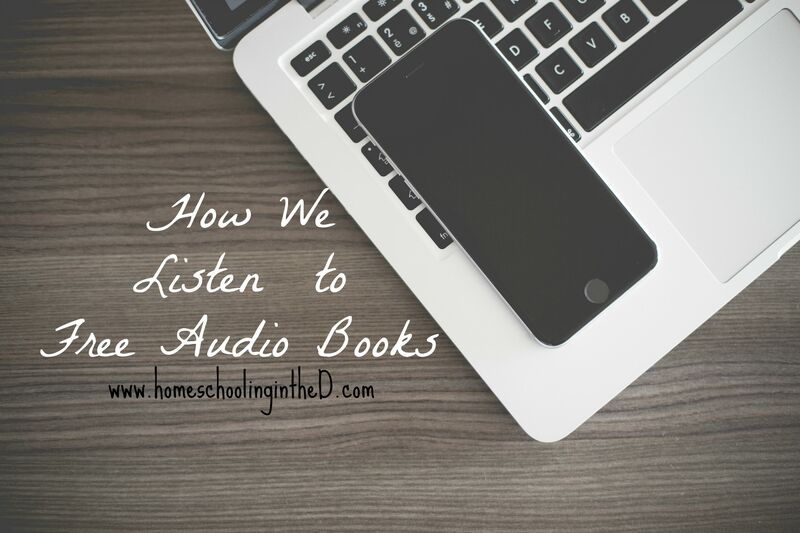 How We Listen to Free Audio Books – Homeschooling in the "D"
This homeschool year has been all about books. I’ve focused on building a family culture around books, as Sarah McKenzie of The Read-Aloud Revival would say. Outside of the language arts curriculum we’re using that includes several books to read aloud, we’re also reading even more books as a family. My oldest has even embarked on reading his first book without my help. All hail planting the reading seed through reading aloud! One way I have always loved to “read” my books is by listening to them, so, naturally, I wanted to infuse audio books into our homeschool. There’s something about listening to a good audio book that helps get your imagination going. My only issue was that I didn’t want to re-subscribe to the paid service I used in the past, so I was on the lookout for free options. That’s when I came across OverDrive. OverDrive is an app that offers free eBooks, audio books, and videos through your local library. There are over 30,000 libraries in over 40 countries participating in this service. You can go to the link above to see if your library is participating, and if not, ask if they are interested. This service is not new, but I’ve mentioned it to a few of my peeps who read all the time and they hadn’t heard of it. So, I thought I’d write about it to get the word out, especially for us homeschoolers. So far we’ve listened to several audio books, including A.A. Milne’s Winnie the Pooh series and Peter Pan by J.M. Barrie. Even though I don’t always find what I’m looking for, there is always something there to listen to, from classics to new books. We tend to listen to them during lunch or whenever the children are playing (semi)quietly with Lego or drawing. It doesn’t always seem like they’re listening, but they are, especially my oldest. There are other ways to listen to free (or cheap) audio books, but OverDrive is working well for our needs at the moment. With so many benefits of reading aloud, this service is right up our alley, and it’s free for goodness sake. Yay for libraries!